The Army has produced many legends. Santosh Bali is one. The Army has produced many legends. Santosh Bali is one. The author of the new cookbook Family Favourites, Santosh is an Army wife who had accompanied her husband on postings across the country, picking up local menus and methods to cook up many a storm in various cantonments. Family Favourites is her first attempt to share her passion, and in which, she shares the mundane mysteries of comfort foods and the exotic dishes her friends and family have shared with her over the years. As the book’s title goes, she picked up different recipes from different regions during her peregrinations, the Army being one big Indian family. 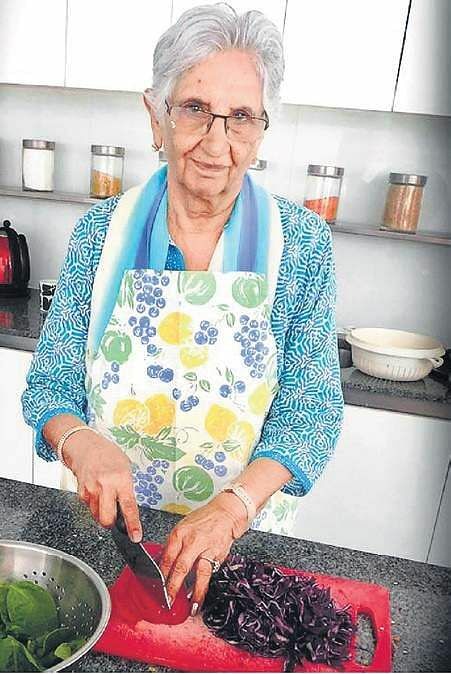 At 86, an age when most of her peers are sitting back and watching the world go by, Santosh is still whipping up magic in the kitchen. Her repertoire varies from salads to appetizers, main course and desserts. There is a section on street food and how to make the quintessential Indian pickle. Whether it be the recondite manner of making a traditional Kathal Biryani or her version of Nigella Lawson’s Salmon Teriyaki, Family Favourites is a cooking manual for all seasons and all kitchens. ❖ Cut the boiled chicken into 1-inch pieces. Mix all the ingredients for the dressing, add chicken to it and cover with a cling film and refrigerate. ❖ Thinly slice the onions and place it in iced water. Place the lettuce in a separate bowl of iced water. ❖ Before serving, squeeze the onions and wipe the salad leaves dry. ❖ Mix together onion slices, pineapple cut into 1-inch pieces, and torn lettuce leaves. Add lemon juice and pineapple juice. ❖ Add oil and when hot, add bayleaf, cinnamon stick and black cardamom. Fry till it gives out aroma. 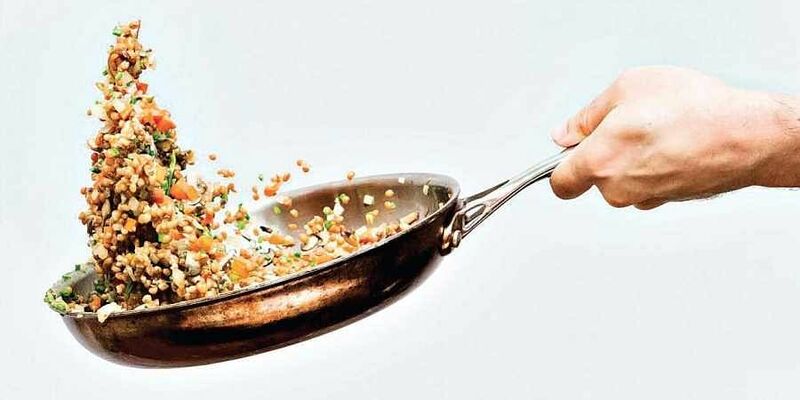 ❖ Add rice to the pan and 3 1/2 cups of water. Cook till the rice is three-fourth done. ❖ Cook it uncovered till the water dries. Keep the rice covered for 15 minutes before serving.